Knowing how to make dog food comparisons that accurately reflect the quality of the foods you're looking at, is the key to navigating the confusing world of dog food ingredients, labels and manufacturer's claims. It will also help you to decipher dog food labels and get to the truth behind the 'gobbledegook', slogans and claims that you'll find slapped all over every bag, can or packet! 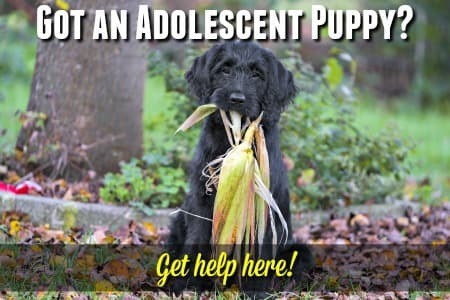 On this page you'll find a system that shows you how to objectively evaluate any dog food by taking a close look at it's ingredients. That way you can compare as many different products as you want without having to rely on 'creative' labeling, advertising or manufacturers claims. If you want to, you can start by analyzing the dog food you're currently using, and then compare it to any other brand/s you're interested in. Or you can just start out by looking at the products you're thinking of switching to. 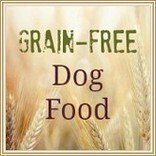 This method of grading dog food in order to make dog food comparisons was developed by Great Dane owner, Sarah Irick. 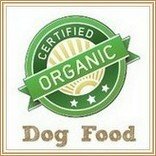 This food grading system is specifically to help those who have trouble deciphering dog food labels and the many articles about what ingredients are. 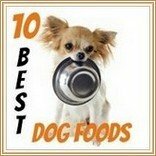 If you have a quality dog food and are not looking to make a change, or if you know about reading dog food labels and can choose a dog food on your own, then by all means continue as you are. However if you are looking for a quality food and would like some guidance on choosing between seemingly equal brands in the store, and you'd like more to base your information on than a friend or store clerk's recommendation, please feel free to use this handy guideline. But be aware that there may be other important information by breed type or size (i.e. 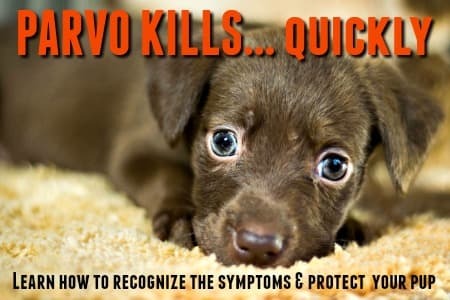 in giant breed puppies you need a food with lower protein levels than is typically available in puppy foods, even "large breed" puppy foods), so you will need to research that as well)'. You need to start with the list of the ingredients for the food you want to grade/rate. It's easy to find an ingredient list for any particular food on the manufacturers website, or use the one on the dog food bag. Although this may sound a little complicated, it's really very straighforward. It will take a little time as you need to look closely at the ingredients and do some basic math, but it well worth the effort! Once you've analyzed a couple of different varieties of food, you'll be able to make some very useful dog food comparisons, and you'll start to have a much clearer idea of whether a food is 'good' or not - and whether it's suitable for your dog. To save you some time (and brain effort!) 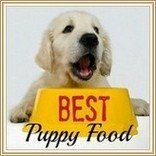 I've done some of the math for you - see the resulting 'Report Cards' for 48 of the most popular dog food brands (rated using this system) on my Dog Food Ratings page. When you're comparing foods, your most important tool are the dog food bags (or pouches, cans etc.) themselves. Both the advertising/PR slogans and the nutritional and ingredient information need to be examined and understood. BUT, there can be a lot of information on these labels, and reading it is one thing, but understanding what it all means can be something else entirely! AAFCO (Association of American Feed Control Officials) Standards - all puppy and dog food needs to meet the standards set by this organization before being sold to consumers in the USA. Basic Product Description - This is the obvious stuff, such as the brand name of the food, the manufacturer's name, the category (whether it's for weight control, puppy, adult, senior etc. ), the recipe (ie 'Lamb and Rice) and the weight of the food contained. Ingredient Information & Analysis - This is the most important piece of the puzzle and where you'll find the information to use with Sarah Irick's system above. The ingredients will be listed in the order in which they appear in the food, percentage-wise. The first three ingredients in any dog food are the most important ones to look at as they are what constitutes most of the food. You want the first ingredient to be a good source of high-quality protein, preferably a specific meat (such as 'Chicken' or 'Lamb') or a meat meal. Even the meal should be a specific one though, such as 'Chicken Meal' or 'Beef Meal'. No generic 'meat' or 'meat meal' Other ingredients may include a second meat source of protein, grain, a specific fat source (ie 'Chicken Fat', 'Canola Oil' etc. ), vegetables and/or fruit, and natural preservatives (such as Vitamin E). The ingredients you DON'T want to see include generic protein or fat sources such as those mentioned above, any type of 'by-product', unspecified grain sources or grain hulls, artificial preservatives, colorings or sweeteners. Also avoid foods containing Menadione(aka 'Vitamin K3' or 'Dimethylprimidinol Sulfate').